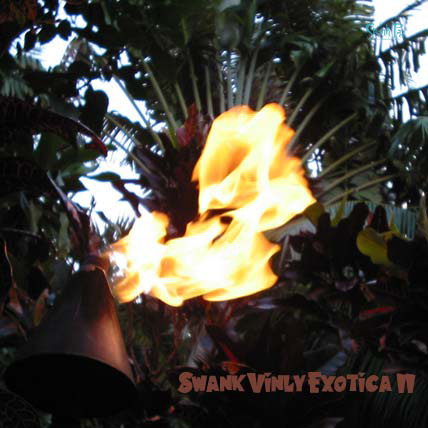 Back in 2001, I made Swank Vinyl Exotica I to sell at the first Hukilau. It turns out that was the only money made on the first Hukilau! I made a second and sold them both on my website. I just didn’t feel like putting in the time to make the CDs anymore and they ended. I decided to resurrect them and share them now. I do not swear by the quality of these recordings, only their mood, which at those times, they reflected. Just downloaded both volumes. I’m pretty new to exotica so I’m excited to hear more. Thanks for making those available! As someone who bought vol 2 quite awhile ago, I’ve been craving vol 1. Finally, it is mine! Hee-hee-hee! Anyway, nice collection–and it demonstrates how popular this music was in the mainstream with cuts by guys like Les Brown, Werner Muller, and Marty Robbins! Vol 2 sent me scurrying for full-length albums by some of the artists featured. Good to see cuts from some of these folks I’m now familiar with. Thanks for these amazing compilations. I can’t help a lot. The song is from Luau at Waikiki, and RCA record LSP 2885. Recorded at the Hilton Hawaiian Village. I always like to hear exotic music….especially steel guitar. Many of these items are long-out-of-print and I appreciate what you are doing. Having trouble downloading any of the zipped albums. I am on a Mac. Is that a problem,? I was interested downloading the 2 cds listed, but of the 80 or so songs listed only 12 are available for download. Also, the link for both cds goes to the same 12 songs.